Let’s visit with Corrie ten Boom today. We have a Father in heaven who is almighty. Trust Him and you will experience miracles. Is your future a friend this morning? Remember that God is in control. We see Your miracles every day, Father, if we only open our eyes to them. She wrote the following about her parents. Lord Jesus, with You close, what else do we really need? With Your love, we have the best; without Your love, we are truly poor, whatever our circumstances. We don’t need to know the answers because we have Jesus. Truly Jesus is the answer to our every need, question, desire and so much more. Our part is to believe and trust in Him. So many times we wonder why God allows certain things to happen to us. We try to understand the circumstances of our lives, and are left wondering. But the Holy Spirit shows us that God does not make mistakes. We cannot begin to understand Your aims, Father, and without that understanding, our lives often seem to be a great maze. But we know You see the end of the path. and we trust You to guide us through all the turns and blind alleys. This beautiful poem that Corrie ten Boom often shared was written by an unknown author. It is titled The Tapestry of My Life or The Weaving. I invite you to travel back in time by listening to an audio recording. The International Congress on World Evangelization was the result of Dr. Billy Graham’s interest to re-frame Christian mission in a world of political, economic, intellectual, and religious upheaval. The church, he believed, had to grasp the ideas and values behind rapid changes in society. More than 2,000 evangelical leaders, from 150 countries attended and participated in the historic gathering. Please visit Lausanne Movement to learn about the history and current happenings in the Lausanne Movement today. Yes, what began in 1974 continues to be an active movement today. Below is the audio recording of Billy Graham introducing Corrie ten Boom at one of the meetings during the historic gathering in 1974. You will hear Corrie speak on the need for the Holy Spirit’s power in the Christian life. She shares how we can live with God’s boundless resources as we obey the command to be filled with the Spirit. The Spirit of God gives us the power to be witnesses for the great commission. This is one of many timeless messages by Corrie. Click on the link below to listen to the audio of Corrie ten Boom speaking at the Lausanne Congress. “The highest potential of God’s love and power is available for us in the trivial things of everyday life. Can men tell that you love Jesus? That we have His life divine? 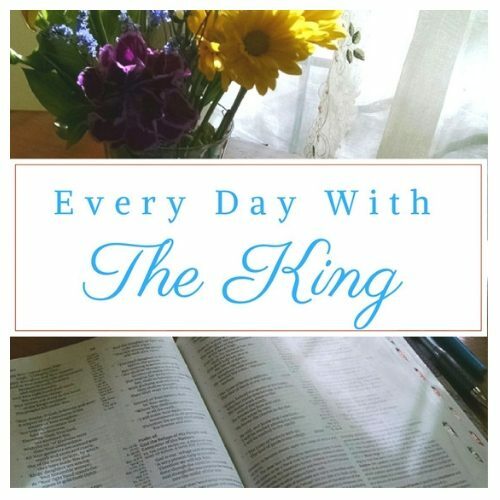 Do you have a favorite daily devotional? Want to find out more about Corrie? As Christians, what should our reaction be to current events today? We are observing the rapid decline of values and way of life that we enjoyed for so long here in the United States. The Christian community is responding in many ways, but not all are ways that I recognize as Christian. I see some responses that make me cringe. I am referring to those who are engaging in mean spirited debate motivated by anger. Also those who claim to be followers of Jesus but are following the culture of the day instead. Yes, I could go on with descriptions of other responses but the point of this post is to find the answer to the question. What was the question?? To find the correct answer always go back to the Book. The Bible has much to tell us about living in this world in all kinds of circumstances. Right now much of the current events are connected to leaders and soon to be leaders of the country. Election, election …Sometimes the subject is the only one covered in the daily news. So I’m just going to focus on one portion of scripture concerning leaders in this blog post. I will focus on other scriptures that address living in our changing culture in future posts. This is a portion of scripture that is great to read and study using more than one version. I love it in the J.B. Phillips New Testament. Note: his spelling is a little different for a couple of words (British). Here then is my charge: First, supplications, prayers, intercessions and thanksgivings should be made on behalf of all men: for kings and rulers in positions of responsibility, so that our common life may be lived in peace and quiet, with a proper sense of God and of our responsibility to him for what we do with our lives. I was appointed proclaimer and messenger of this great act of his, to teach (incredible as it may sound) the Gentile world to believe and know the truth. I want the men to pray in all the churches with sincerity, without resentment or doubt in their minds. Question: As Christians, what should our reaction be to current events today? May I suggest that we keep these verses handy to remind ourselves of what we should be doing. Corrie ten Boom tells about something that happened concerning this subject in her book “In My Father’s House”. The time was 1914 when one after another, countries of the world issued declarations of war. Corrie writes about her father and a weekly prayer meeting. Her father’s name was Casper ten Boom. The following is a short section from the book. Father continued to pray for the Queen and the government of Holland, as he always had. We were very patriotic and loyal to Queen Wilhelmina and her prime minister, Abraham Kuyper, who was also a prominent theologian. But Father said, “As Christians we are in the world, but not of the world. We must not give over our country to the enemy, because then we would be disobeying 1 Timothy 2 which says ‘First of all, then, I urge that entreaties and prayers, petitions and thanksgivings, be made on behalf of all men, for kings and all who are in authority, in order that we may lead a tranquil and quiet life in all godliness and dignity.’ “(vs. 1,2). As the weeks and months of World War I went on, the pietists became more uncomfortable as Father, Betsie, and I continued to pray for our government. The difference in these basic beliefs drove the group apart. The others began to draw more and more into their spiritual shells, until we could no longer meet together for prayer. I invite you to visit the Corrie ten Boom page to learn more about her. I love her way of stating her prayer reaction. I want to begin to see each news story that I hear about as a call to prayer. How about you? Are feeling overwhelmed with bad news? Let us go to the King with everything immediately. Please leave a comment because I would love to hear from you.